Master of Magic is a beloved game for many. Released in 1994, the game tasked you to dominate two linked worlds from humble beginnings. Along the way, you gathered heroes, learned new and powerful spells, and laid waste to any enemy foolish enough to challenge your armies. 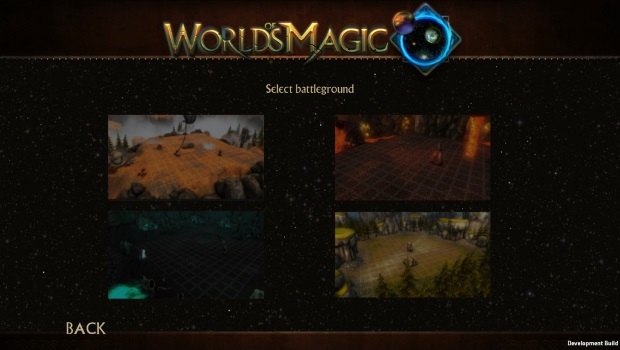 Worlds of Magic, by Lucid Dreamers Development, seeks to recreate that classic 4X (Explore, Expand, Exploit, Exterminate) feeling, combining tried-and-true staples with newer, unique systems to elevate it. As a fan of Master of Magic, I was excited to be able to get my hands on an early version of Worlds of Magic. With such a lofty goal in mind, does the game feel like a worthy heir, or does it only fall short of that former glory? Worlds of Magic lives up to the first word of its title when it comes to world generation. You select the type for the three main planes of existence – Prime, Air, and Shadow. Each plane can be 30, 50, or 70 percent of the overall world, and can be divided into Pangea, Two or Three Continents, or Islands. With a world in mind, I selected a Prime plane of 50% land with three continents, a plane of Air with 30% land as islands, and a Pangea Shadow realm with 70% land mass. Another world generation option allows you to select the number of AI opponents to go up against, the overall world size (small, medium, large, et al), and whether to allow fast movement for the units on the map. After having played the game a while without fast movement, I definitely feel the option should be on by default. The game then has you choose one of four factions: High Men, Unhallowed (think undead), Grey Elves, and Draconians. Each race has their own feel to them, and the units available to each are quite different even with similar buildings. Humans are decent all-around, but lack significant specialization. Unhallowed don’t suffer from civil unrest, but need corrupted ground for their cities, and can never make allies with other Lords. Grey Elves are incredibly mobile, but are physically weak. Draconians have the advantage of flight, but develop very slowly and have the highest amount of unrest. After deciding to take the boring route of hum – high men, it was time to actually create my own Lord. 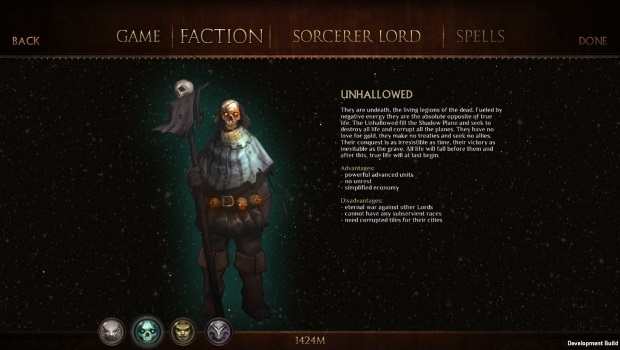 There are six default lords, each with their own traits, but where’s the fun in playing someone else when you can create yourself as a wizard? 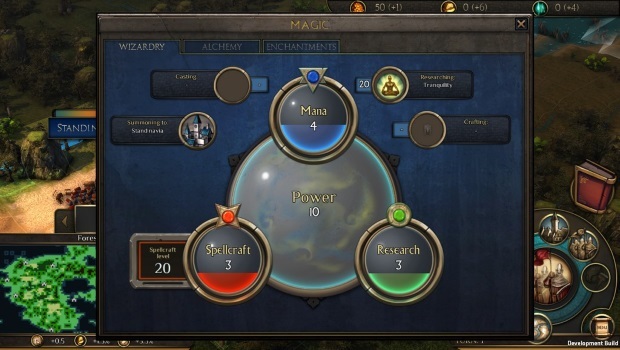 Worlds of Magic offers 22 Disciplines, which offer various benefits, such as Cartographer providing a full world map right away, or Summoner reducing the cost of conjuring creatures for your army. You start with 12 skill points to distribute between any of the disciplines and spell schools to create a Lord however you wish. I chose to go with five ranks in Air, two in Augmentation, and three in Mentalism for my spell schools. I also chose to take Cartographer, Lucky, Channeler, and Warlord as my disciplines. The astute will realize, however, that’s more than 12 points spent! Worlds of Magic also has six Negative Disciplines that you can take to gain additional skill points, but with the downside of significant drawbacks to one or more game systems. In this case, I chose Opulent, which gave a 10% penalty to my gold, food, and production in cities (presumably so I could live the high life of the grand wizard or whatever I’d call myself). 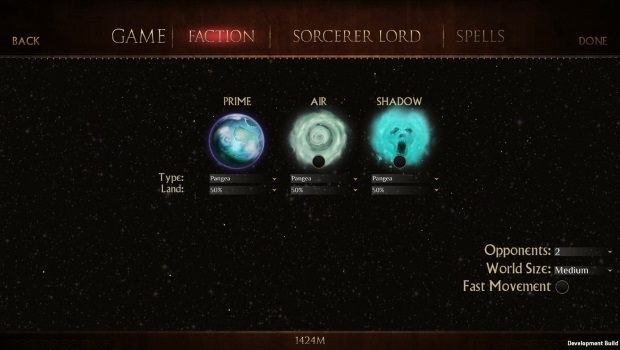 Once you’ve tinkered your Lord to perfection, you then get to select your starting spells based on the number of ranks you put in each of the spell schools. Obviously, this meant five Air, two Augmentation, and three Mental spells for me. One interesting thing I noted was each starting spell is shared across two of the schools of magic, which allows for a much more diverse starting pool, even if there aren’t terribly many starting spells to take currently. You can also select a flag color to be displayed on your cities, and your character portrait – unfortunately, you’ve only the option of the six default Lords to choose from there. Like many games of the type, Worlds of Magic does not offer any sort of tutorial for new players. Thankfully, it does offer some pretty comprehensive and helpful pop up hints for every aspect of gameplay. 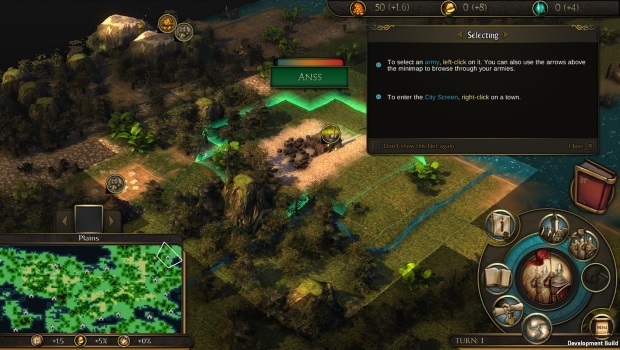 These cover troop movement, city management, spell research, combat, and more. In fact, the only downside I found to these hints is that they would come up every single time you took an action, unless the “Don’t show this hint again” box was selected. A minor thing, but some players might get grumpy at having to see the same tooltips over and over again. I stated before that I felt the faster movement option from world creation needed to be on by default, and that’s one of the major challenges the game faces currently. The game feels very slow overall. Cities take a long time to develop, and they focus on building population first, rather than production. Couple that with a laughably weak starting army and you instantly feel the grind you’re in for. It may not have helped that I took Opulence as a negative discipline, but 10% didn’t seem it would make much difference. One thing I absolutely found fascinating about Worlds of Magic was the fact it uses the D20 ruleset. This is an easily recognized system for most players, and has the advantage of having been play-tested by millions, so it’s a sound basis for combat. It plays very well with the tactical combat Worlds of Magic offers. Combat takes place on a grid, and each unit can only move a certain number of spaces, each round. Melee units can also only attack adjacent spaces. 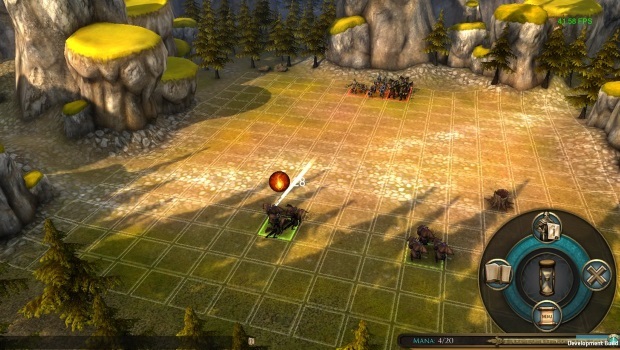 This lead to being wiped out several times by ranged units, who can strike the entire field with their attacks. Multiple ranged units currently seem like a death sentence to any army foolish enough not to bring their own. “Wait!” you shout, “You’re a wizard though!” That much is true; however, magic is currently rather on the weak side, and a lot of spells aren’t necessary worth the mana cost to use. Thankfully, the developers are quite aware they need to put the magic back in Worlds of Magic, and will address this balance issue in the near future. The game definitely lets you customize your character in some fairly subtle ways. 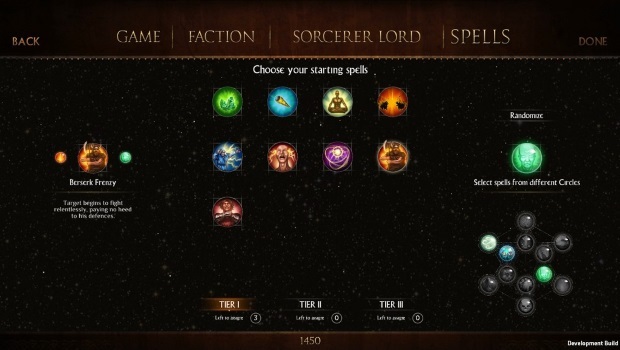 Your spell choices are linked to your starting magic schools, for instance, and you can only research spells from them. You can also allocate Power (based on population, buildings, and your Lord) to Mana, Research, and Spellcraft. Mana dictates your starting mana in battles, as well as how much is allocated each turn to cast spells and enchantments on the overworld. Research determines how fast you research new spells. 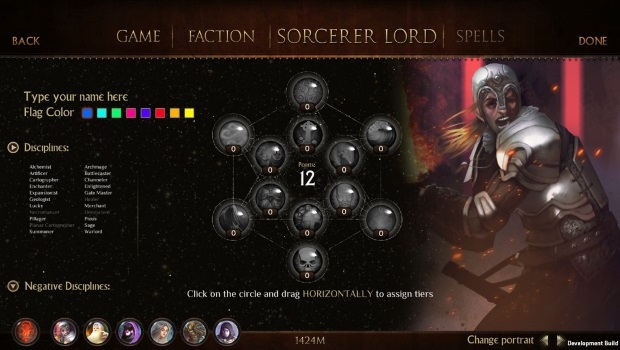 Finally, Spellcraft is your overall spell casting ability, and a higher amount gives you better rolls when trying to attack monsters, cast debuffs, and other assorted tasks. 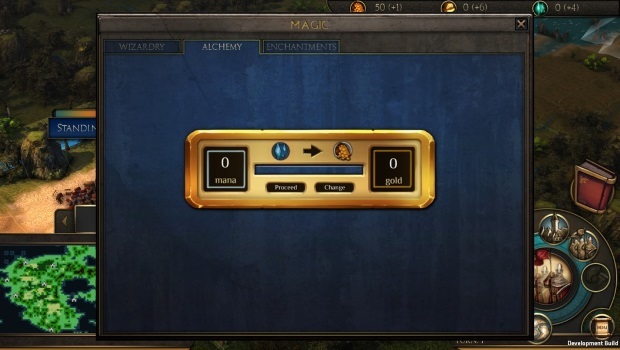 If you’re sitting on an excess of mana, you can also convert it to gold to help your empire grow, through Alchemy. 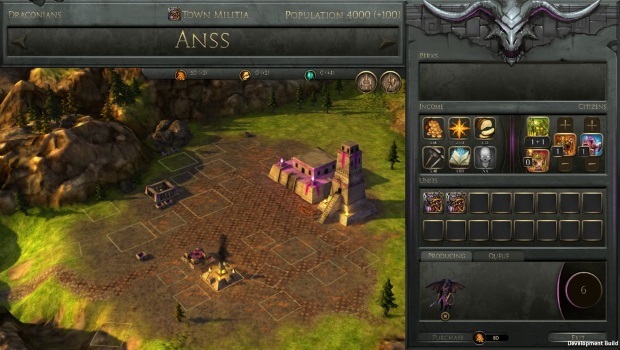 Gold will then allow you to build your cities faster and make your armies stronger, with little regard to actual production values. The game also gives you an easy way to view any and all enchantments affecting the world, be it per unit, by ruler, or overall. For fans of Master of Magic, Worlds of Magic will be very comforting. The game is very much a spiritual successor, with new features to keep things fresh and interesting. Certain features, such as heroes, are currently missing from the game, but are planned in the near future to give the game even more depth. There’s a vibrant community on the forums that the developers are very engaged with, which also promises great things for the future of the game. As it stands, though, the game does have its problems. It feels very sluggish overall. A lot of magic is incredibly weak, and ranged attacks are dominating. Additionally, there’s very little in the way of multiplayer right now, with the only option being PvP arenas (and even then, there are only four maps to choose from). Still, with what the developers seem to be promising, and what the community is providing in terms of feedback, Worlds of Magic will be worth checking out for any Master of Magic fans, as well as those who enjoy a good 4X style game with a magical twist.